When it comes to sportswriting, Michael Calvin is an A-list, award-winning powerhouse. Whether you’re reading his columns for The Independent and BT Sport or one of his many brilliant books, top-quality insight and analysis are guaranteed. Mike is also one of the good guys, which is why he’s back for a second interview with Of Pitch and Page and why he’s (hopefully) forgiven me for drastically underestimating his phenomenal output (see below). 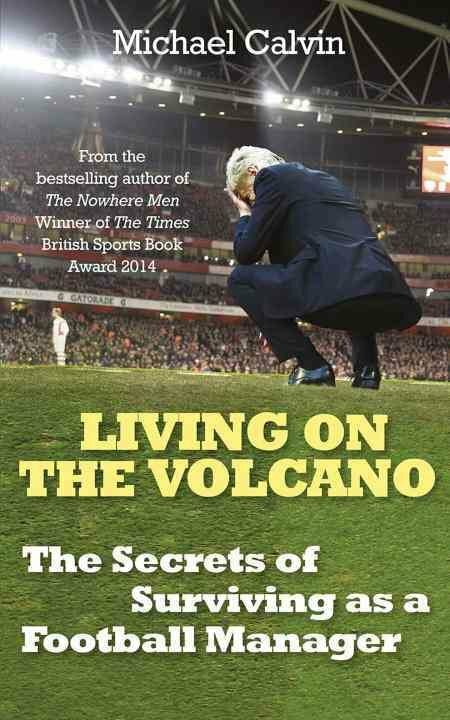 On the back of rave reviews for his latest book Living on the Volcano, I asked him about research, writing and what he’s learnt about football management. 1. What made you decide to make football managers your next project after football scouts? Scouts are still subjected to institutionalised disrespect, as are managers. That gave me the incentive to try to humanise what can be a pretty de-humanising job. I’ve always been struck by the fact that, despite their ubiquity, football managers have traditionally remained resistant to deeper scrutiny. I wanted to find out what made them tick, as people and professionals. 2. Was it more difficult to gain managers’ trust? Was there any material that had to be removed at a later date for confidentiality reasons? 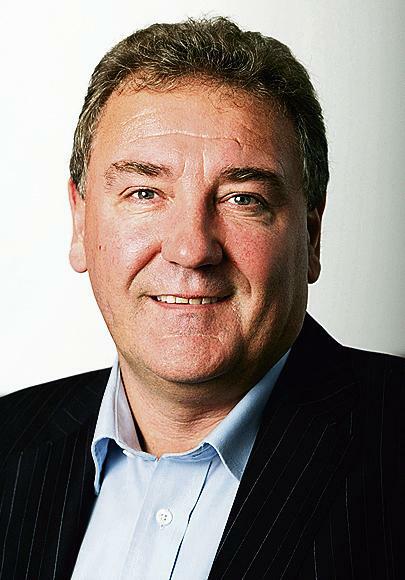 I was fortunate that quite a few of the managers had read my previous football books, Family and The Nowhere Men. They knew what I was about: I was looking for authenticity. They responded to the prospect of being portrayed accurately, and with a degree of depth. A 100,000 word book gives a writer an ability to contextualise, so they were comfortable enough to drop their guard. We worked in a spirit of mutual trust and respect, which is very rare in the modern game. 3. Did your opinion change at all as the interviewing/writing went on? It strikes me that you were always sympathetic to the manager’s plight, but was there anything that really left you ‘eyes opened’? I think they understood I empathised with their problems. Several said ‘you’ve been in dressing rooms. You know the territory.’ The most powerful question a writer can ask is ‘tell me how you do your job’. This wasn’t just an interview request; I wanted to watch them work, on the training ground and in internal meetings to develop an understanding of their character and the breadth of their responsibilities. I sensed a cultural shift in the emergence of a new, more emotionally intelligent generation, aged between 34 and 43. 4. Living on the Volcano is your third book – do you find the writing process getting easier each time? Actually it is my sixth! I did a book on cricket captaincy with Ray Illingworth when I was 21 (don’t ask the publication date) and one called Only Wind & Water, which was on a round the world yacht race in which I competed (the publishers promptly went bust!) I also collaborated with Gareth Thomas on Proud, which was named Sports Book of the Year 2015 (sorry for showing off!) I love the research and writing process; the more books one writes, the easier it is to get one’s head around the scale of a project. 5. Were there any managers that you were sad not to include? The only outright refusal was from Sam Allardyce, who rather grandly announced he wanted to share his thoughts through the LMA. He has a book out soon, funnily enough…. I had to be really disciplined about the number of managers I studied otherwise Volcano would have rivalled War & Peace. I was happy with the cross section, but wouldn’t have minded including Nigel Pearson and Keith Hill, at Rochdale. 6. At last year’s Manchester Football Writing Festival, you spoke about how the move to Twitter-speed news may leave the book as the only option for longer, more considered sports journalism. Do you feel we’re seeing a growth in high-quality football literature? I do, and it is not just limited to football. I think the standard of British long form sportswriting has improved immeasurably over the last decade, to the point where it is more compelling than its North American equivalent. 7. Win the Premier League on a budget of £50million? 8. Secure Premier League safety against the odds? Bit counter-intuitive this one, since he failed to do so last season, but Sean Dyche. 9. Get a young side promoted from the Championship? Karl Robinson, given time and more resources than he has at MK Dons. 10. Take a team from League 2 to the Premier League? Obviously dependent on continuity of budget, but a natural development coach like Paul Tisdale at Exeter, Eddie Howe at Bournemouth, or Wolves’ Kenny Jackett, whose mentor at Watford, Graham Taylor, did just that.